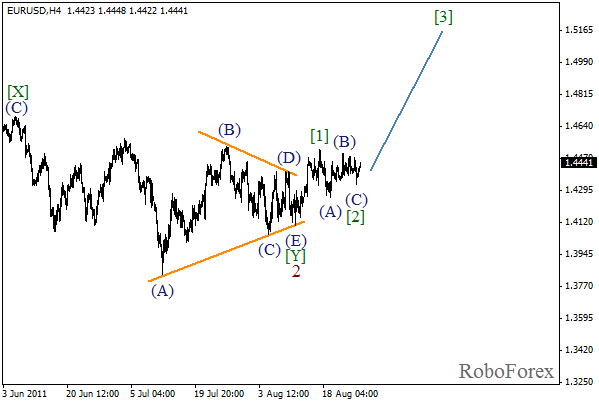 We may assume that zigzag pattern in wave (4) has been completed and now we can see the formation of wave 1. So far, I suggest staying out of the market and wailing for the formation of a good bearish impulse. After such five-wave pattern appears, one can try to sell the pair during the correction. 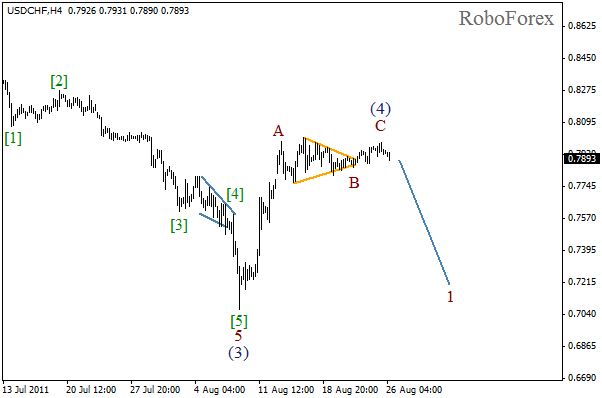 As we can see on the H1 chart, wave C of (4) has been completed in the form of diagonal triangle pattern. The price has already broken the pattern’s lower border, thus indicating the start of wave 1. The forecast remains bullish. In the near term, the price may continue moving downwards. 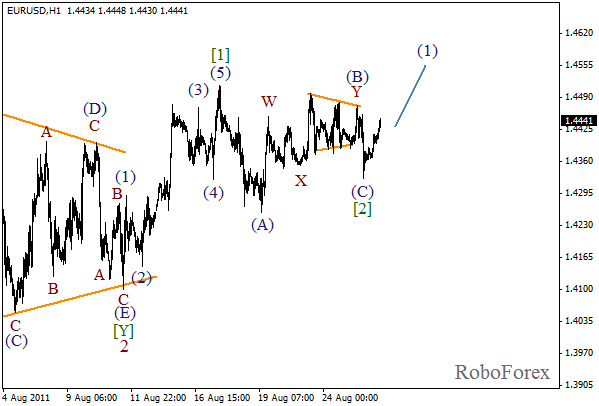 We may assume that wave  has been completed in the form of zigzag pattern. Right now, the market is about to start a significant growth in wave , in which bulls may reach a very important level of 1.5000. More detailed structure of wave  is shown on the H1 chart. 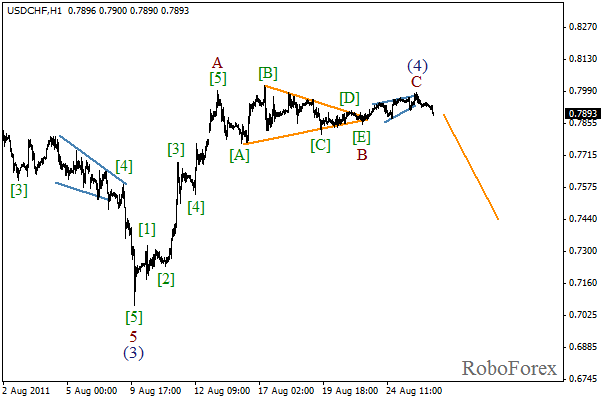 Most likely, this wave has been completed in the form of zigzag pattern with a reduced wave (C). Earlier, wave (B) had been completed and taken the form of double three pattern. At the moment we can see the formation of wave (1). The price may continue growing during the day.